Saint-Yves d’Alveydre has been searching for the fundamental base of the whole ancient science. After more than twenty years of research, he succeeded in discovering the primal principles and elaborated the Archéomètre. Each star, each colour, each natural shape is a manifestation in the visible world of a creative power from the Word plane. 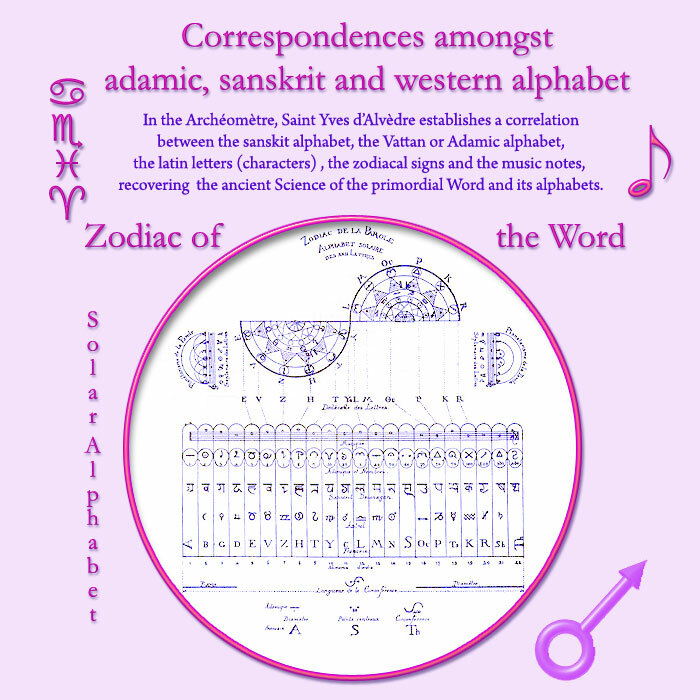 The cult of the Word begins in the Mysteries by the cult and the understanding of the twenty two divine forces of which each key is a materialised sign, a physical signature.